Birthday Wishes: . . .my Birthday tribute to Stephen. Info about Stephen: . . .about Stills and his music. About me: Info about me. 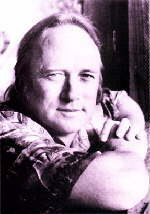 Stills discography: List of his albums & works with other artists so far. Stills pics: See photos of Stephen. Stills quotes: Quotes from our fave Texan native.. UPDATED! --> Stills news: Stills & Nash on Nightline. . .+ more! 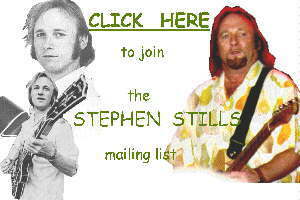 Stephen Stills Gallery: To view pics and stories from fans. Stills concert reviews: Concert reviews from fans. Stills articles:Articles about Stills (and related). 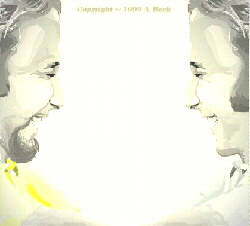 Sign the guestbook: And share thoughts and opinions about Stills and/or this website. Website forum, with chat and messages!! This page has been visited 6558 + times. Check back when ya can for updates!